You will earn 1060.00 bonus points. ? Experience sound sleep with the Elysse Hybrid Mattress. Delivered snugly in a portable box, Elysse features a luxurious unification of individually foam encased 6.25" tall x 2.5" wide pocket coils surrounded by three layers of high quality foam. Topped with a gel-infused surface to keep you climate steady, Elysse is a supportive mattress that quickly dissipates your body heat while conforming to your weight and position. Elysse also minimizes motion disturbance between partners and reduces stress on pressure points. Elysse is CertiPUR-US certified by accredited independent testing laboratories so you can be confident that the memory foam is made without formaldehyde, ozone depleters, mercury and other heavy metals, PBDEs, TDCPP or TCEP ("Tris") flame retardants, and is low on VOC. 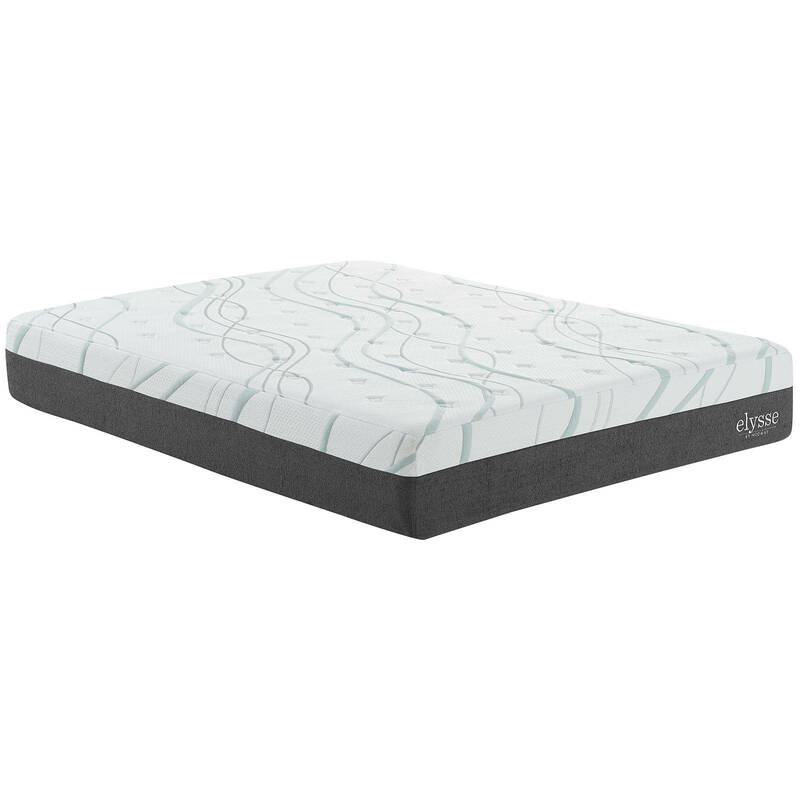 Designed from bottom to top with responsive foam, memory foam, and gel-infused memory foam, Elysse comes with a machine washable diamond quilted outer cover and fiberglass cloth inner cover. The mattress comes vacuum-packed and rolled to fit into a box. Please allow up to two days to expanded fully. Boxspring or foundation are optional. Slatted bases should be less than 3" apart. Supports up to 300 lbs. The non-slip bottom consists of a 80% polyester, 20% cotton blend.